Fun New York is your definitive guide to bass fishing, deep sea fishing, and all the best fishing Staten Island has to offer. See our detailed and complete list of places to fish in Staten Island. Explore a slew of beautiful areas where you can enjoy the finest fishing in Staten Island. Fun Family Fishing on Staten Island! Fish the NY bight for striped bass, fluke, bluefish, weakfish, tog, and sea bass when you take a ride with Angler Charters in Staten Island. The Angler II is a 25' Parker fishing boat with a fully enclosed pilot house, guaranteeing maximum comfort for you and your party during windy and rainy days. The boat is equipped with some of the best and latest electronic technology including WAAS-supported GPS, a VHF radio telephone, radar, and depth and fish finders. 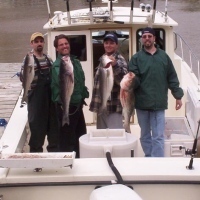 Experience the finest trophy class striped bass fishing in Staten Island, while mingling with the friendly captain and crew. With over 25 years of experience on the water, the crew will be more than happy to share their knowledge and fishing techniques with you. Being a family-oriented business, children are always welcome aboard. The boat sails out of Mansion Marina in Staten Island, from mid-June through November. 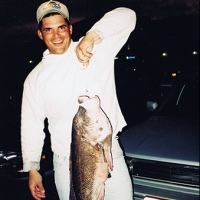 One of the Best Staten Island Fishing Charters! Setting sail 7 days a week from the Atlantis Marina in Great Kills, Staten Island; the Atlantis Princess offers group and private fishing charters that are perfect for birthdays, bachelor parties, corporate outings, or lovely afternoons with friends and family. Experience the thrill of cruising and deep sea fishing without having to leave Staten Island! The Atlantis super-cruiser is fast, smooth, and extremely comfortable; and comes fully equipped with the latest fish-finding sonar. The vessel accommodates up to 149 guests, with a centrally heated and air conditioned cabin that seats 85. The lower level contains a full galley--serving a full menu of hot and cold food and beverages. The long outside deck provides you with ample tangle-free fishing space, giving you enough room when you catch the big one! The Atlantis marina is easily accessible from anywhere in the Tri-State area, located only 15 minutes from the Verrazano Bridge and Sandy Hook by water.